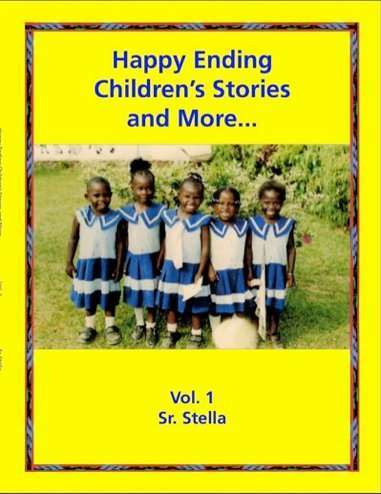 A book of children’s stories, poems, tongue-twisters, proverbs, and brain-teasers from Africa by Sr. Stella Sabina, an author from Uganda who studied in Kenya and now lives and works in Indiana, USA. 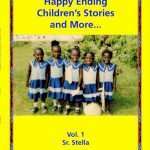 Happy Ending Children’s Stories, and More (Poems, Tongue-twisters and Brain-teasers) will take you to an imaginary world of Africa. If you are looking for real adventures you have never had before, this is the right book to read or to listen to. Contact omukaziaw@yahoo.com for an audio CD. Some of the names of the characters and the villages are in Luganda or Swahili language. Do not worry about the pronunciation. For this adventure any way you pronounce them is right; it is part of the fun too. Each story will allow you to choose a character you would like to be, and as you read or listen, feel happy about what that person or animal teaches you. Continue to share these stories with your friends. Alternatively, if you work for a library or a bookstore, use the code CPRESSLIB50 to buy the book at 50% off of the retail price. Again, we’ll verify the origin of each purchase. Sr. Stella Sabina was born in Uganda and raised in East Africa. She studied in Kenya and holds a Master’s in Education, and a Diploma in Conflict Analysis and Resolution. She is a teacher by profession and enjoys going back to her mother’s methodology of teaching through story telling, music, dance, drama, proverbs, poetry, tongue-twisters, riddles, and life experiences. 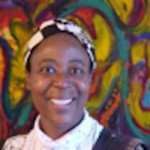 Sr. Stella, as she is widely known, is the founder of Shifting Ideas Through Education for African Women and Children, Inc., based in Indianapolis, Indiana. She fights traditions that oppress women and children because it deprives them of the joy they are meant to cherish on earth as human beings. She tells stories with a happy ending to create joy, and let readers have something positive to think about after they read her stories. She has traveled to more than twenty-two countries in the world, spreading awareness about traditions that oppress women and children in Africa, especially female circumcision. On the other hand, she is very interested in writing, especially stories that can make children — and those who feel like children — happy at heart. Completed manuscripts currently on her desk include One Hundred and One Poemsand Home-Made Tongue Twisters for Children, as well as Break the Silence: Break the Chains, Happy Ending Children’s Stories and More, Vol. 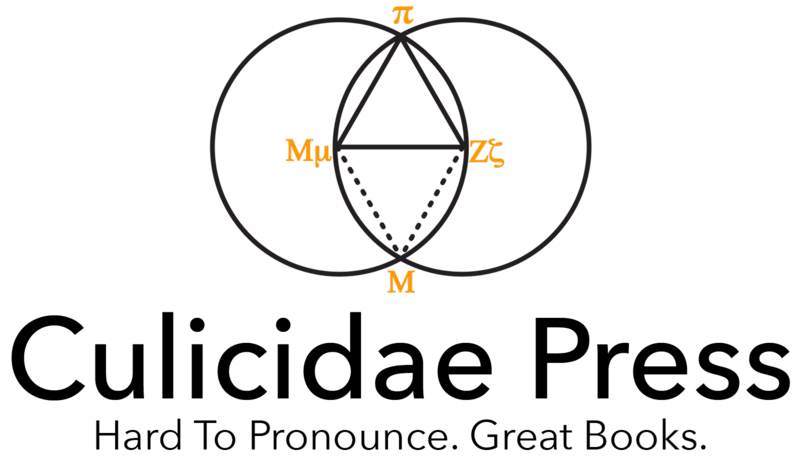 2, and Akendo (Children’s Songs and Games).